The Château Biston-Brillette terroir benefits from a microclimate that is rather favourable to the Merlot variety, that ripens early in these well-balanced sandy terroirs thanks to the presence of deeper clayey-limestone soils. The light and sandy Guitignan gravel, like the dry clay of Petit Poujeaux, causes water stress in summer, when the grapes ripen. 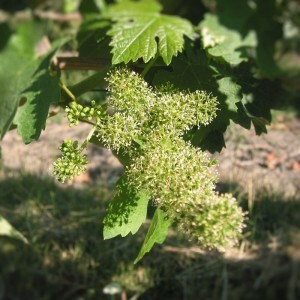 This explains the concentration of Château Biston-Brillette wines, because the plant gives its very best when it does not receive water during the second half of the summer and the beginning of the autumn, although a summer storm between the middle and the end of July is beneficial because it lends the wine enhanced balance. These are the climatic features of a typical Bordeaux terroir, with a mild spring followed by water stress until the harvest.